The next KSSC session begins September 22, 2018. To register your child, call 914-682-1574, or email Sarah Bracey White at bracey0114@aol.com. 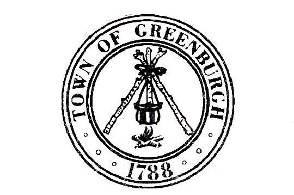 In 1994, Sarah Bracey White, Executive Director of Arts and Culture for the Town of Greenburgh, New York, designed and implemented a writing workshop for children 9-12 years old. Dubbed the Kids Short Story Connection (KSSC), the only prerequisites for KSSC participation were a love of writing, and the prior completion of at least two short stories. The project was initially made possible by (and continues to receive funding from) the Arts Alive program of the Westchester Arts Council with funding from the Decentralization Program of the New York State Council on the Arts. At first, the workshop drew a dozen kids.When news of this workshop spread, it quickly drew young writers from throughout Westchester County. Today, KSSC includes more than 40 participants divided into five workshops. No workshop has more than nine participants. The KSSC consists of three levels of classes: Young Writers (2 classes), Intermediate Writers (2 classes) and Advanced Writers. Children are assigned to classes based on the project administrator and teachers’ evaluations of pre-submitted stories, and observations of students’ verbal communication skills and social readiness. Each fall and spring, over a 12-week period, the five sections meet for seven two-hour sessions on alternating Saturday mornings. Five established writers/teachers (highly published, award winners) lead round-table discussions of the basic principals of writing (story ideas, story construction and plot, character development, dialogue, exposition, settings, etc. ), offer creative writing and thinking exercises, initiate the peer-critiquing process and discusses the technical and philosophical components of good writing. These writers/teachers help the children create new stories and revise old ones. Some children produce numerous stories during the workshops. On occassion, a student will complete an individual book. Teachers provide individual counseling and critiquing, as requested or required. During the workshops, students read their stories aloud and get feedback from fellow participants. Revisions, based on peer critique, are frequently brought back to the group for review. After children move from the Beginners’ to the Advanced classes, they are encouraged to submit their work to established literary magazines; thus broadening their exposure to the realities of free-press publishing. A group anthology, Short Stories by Me, is issued each year. There is no cut-off age for participation and some writers in the advanced workshop have been with the program for more than eight years. Parents and children continually laud the importance of this project in developing skills and providing a setting where the children feel empowered as writers.The young writers in this project continue to hone their skills. 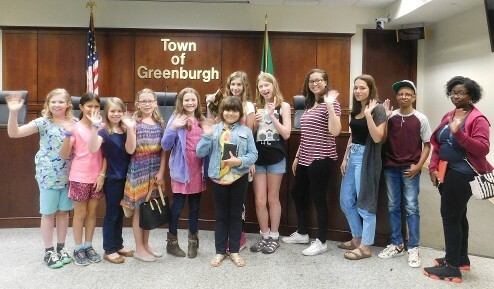 Each year, in conjunction with the Greenburgh Public Library, a published young-adult author makes a two-hour, inter-active, group-presentation to the intermediate and advanced students in the workshop. This component gives participants an inside view of what the writers' life is like, and how books get published. In 2009, young adult author Matt de la Pena, whose book Ball Don't Lie is being made into a soon-to-be-released movie, was the designated literary guest. After formal desktop layout of their original stories, children are sent copies of their stories to edit, adding another dimension to their experience of the publishing process. Children also are encouraged to submit work to the publishing marketplace. [Many students have had their stories, poems and essays published in local and national venues and/or won awards and prizes.] Copies of the KSSC anthology, “Short Stories by Me,” are given to each participant and sent to every library in the Westchester Library System. This project aims to nurture children's love of creative writing, create a place where the value of that interest is acknowledged, provide tools to develop that interest, encourage interaction among different socioeconomic and ethnic groups, enhance participants’ self-esteem and nourish the creativity that influences productivity in mature adults. Goals also include having each child complete two or more new stories, read those stories aloud during workshops, revise those stories where appropriate, and provide constructive feedback to other workshop participants who read their stories aloud. Students in the advanced class discuss publishing sources, then submit their work to appropriate ones for publication. The KSSC has been a highly successful project for the past 14 years. It draws children from every religious and ethnic group in Westchester and Putnam Counties: African-American, Italian-American, Indian, Asian, Hispanic, African, Korean and Chinese; Muslim, Jewish, Christian. Children of all ages join, and as they develop their love of writing and writing skills, they continue to eagerly anticipate the next series of workshops. They also look forward to participating in the advanced "master class." Some children have remained with KSSC for eight years while juggling schoolwork and the basics of their young lives: soccer, basketball, softball, skating, ballet, Bat and Bar Mitvah preparation, SAT exams, first jobs, etc. They bring their siblings, cousins, friends, classmates and neighbors to workshops as guests, and these visitors usually ask to join KSSC. Writers/teachers contact me asking to work in this lauded project. Parents and children spread news of the existence of this unique project at schools and libraries; then, representatives from other communities contact me asking how they can replicate a program such as this in their area.